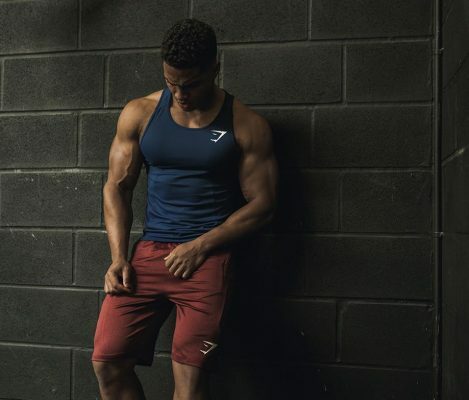 Established in 2012 by Ben Francis whilst still at school, Gymshark has grown from a screen printing business in a garage, into one of the fastest growing and most recognisable global fitness brands. The Bromsgrove, Worcestershire-based online retailer currently employs 85 staff, rising to approximately 120 at peak times, and until most recently has fulfilled customer orders globally from its 10,000sq ft warehouse. However, with around 5,000 SKUs and plans for continued rapid expansion, a move to a new 100,000sq ft warehouse facility has become necessary during August 2017. By April 2015, Gymshark was already averaging around 500 orders per day, peaking at 20,000 on Black Friday 2015. By early 2016, order volumes had jumped to 2,000 – 3,000 per day. Gymshark took the decision to review its existing IT systems with financial director, Chris Perrins, evaluating Enterprise Resource Planning (ERP) and Warehouse Management System (WMS) needs, and the IT team led by IT director, Seb Mills, taking responsibility for e-commerce software. Gymshark’s finance and IT departments decided to replatform to the new Shopify Plus enterprise level e-commerce solution, integrated with Peoplevox’s WMS. Having met Peoplevox’s consultants to discuss requirements and following a thorough ‘smoke-test’ of the software, Perrins was convinced he had found the right WMS platform. However, the key factor in making the final decision to invest in the Peoplevox WMS was its ability to easily integrate with the newly launched Shopify Plus enterprise level platform. Furthermore, by using Peoplevox’s OpenDespatch API, the WMS offered the advantage of integrating with the Scurri Carrier Management software that Chris was also planning on using. “Peoplevox’s consultants were brilliantly responsive and their willingness to go the extra mile in addressing our specific technical issues made a big difference to the speed and smoothness of the whole implementation,” said Perrins. From the outset, Gymshark could see it had deployed an e-commerce solution capable of matching the immediate and future needs of its high volume business. The integrated Shopify Plus with Peoplevox WMS platform quickly improved the warehouse team’s agility and ability to keep pace with Gymshark’s accelerating order and fulfilment demands on a day to day basis. “Using Peoplevox with Shopify Plus ensured we were no longer hindered or constrained by the limits of our back end systems as previously experienced,” said Gymshark’s Perrins. “As a high velocity e-commerce retailer, the solution has totally met our requirements by enabling the flexibility to quickly scale our warehouse operations to cope with accelerating order volumes, and always be sure of shipping on time. This has supported our growth strategy and improved overall customer experience.